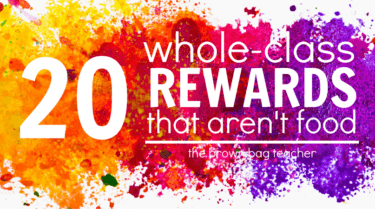 10 becomes such an important benchmark for students, especially as we head into addition and subtraction. 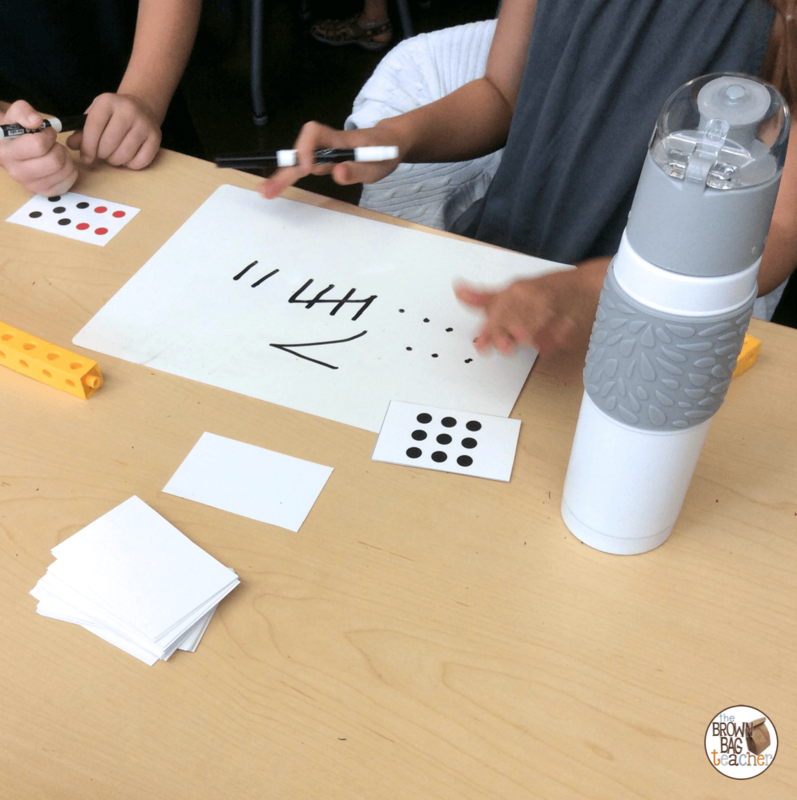 Becoming fluent in 10 is a fantastic tool for mental math, and when students begin adding larger numbers (especially in other grades), having mastered 10 is critical! We spend a lot of time with 10, and we’ll spiral review with 10 through out centers each week. 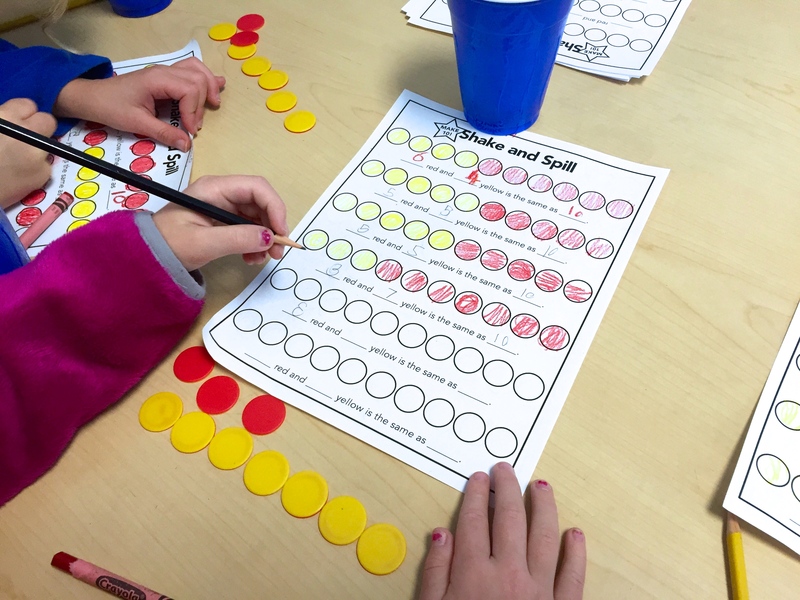 Shake and Spill was our first guided math lesson. 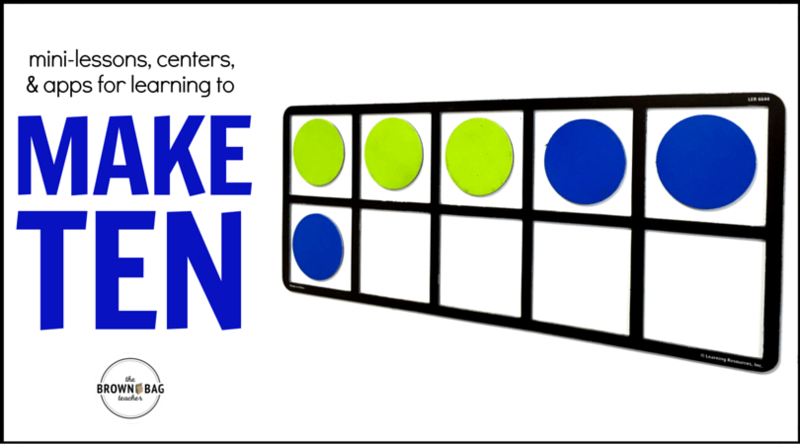 It is a perfect exploratory game/lesson for making combinations to 10. I snagged double-sided counters from Amazon (affiliate link) and pulled plastic cups from a cabinet. My friends shook their cups 3 times and then, spilled their counters. My highest math group pre-assessed showing mastery of 10, so their Shake and Spill included combinations to 20. 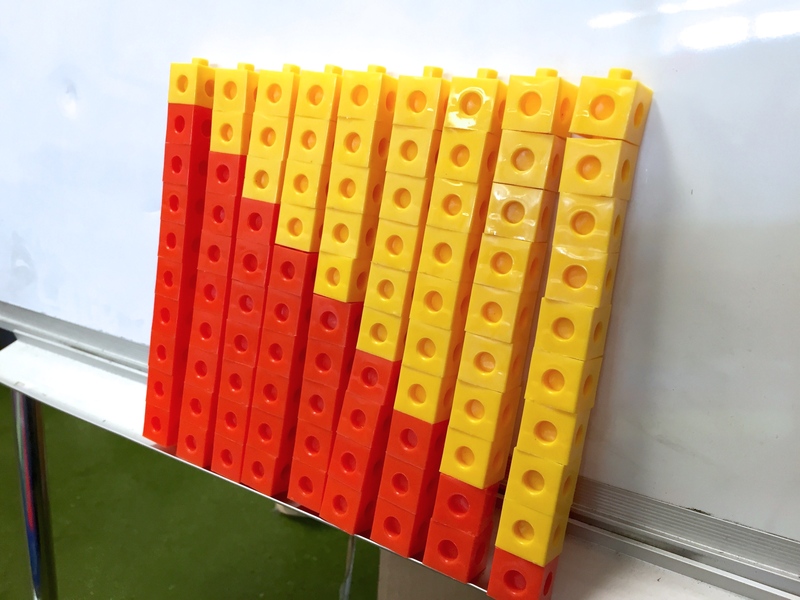 Building 10 with unfix cubes is a great guided-math lesson that offers students the chance to ‘see’ the stair-step pattern of Making 10 Combinations. After students create this pattern, it’s the perfect time to talk about the commutative property (flip-flop facts). A bead-rack is also a simple and inexpensive way for students to make combinations to 10. 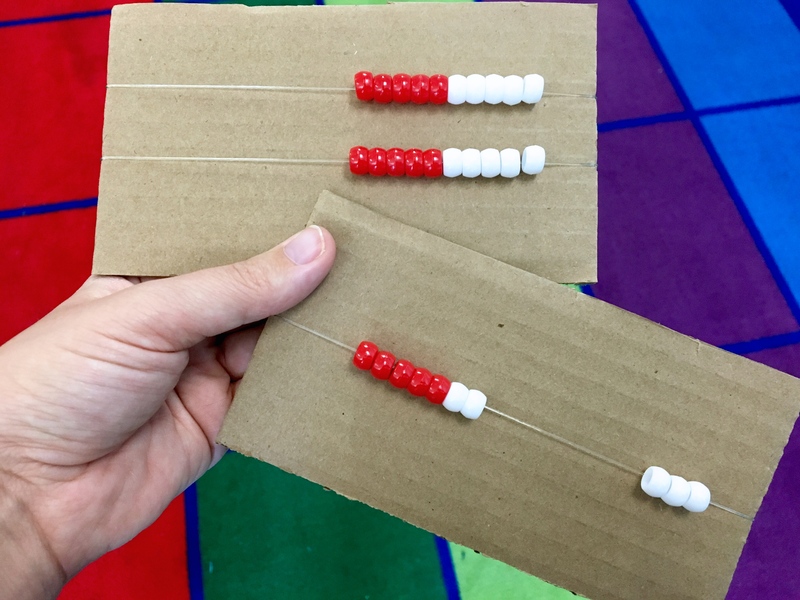 I make my own bead-racks (see this post) and they make the perfect at-home math tool! Although I really don’t love my friends using their fingers to count, I do know it’s something they are very familiar with. 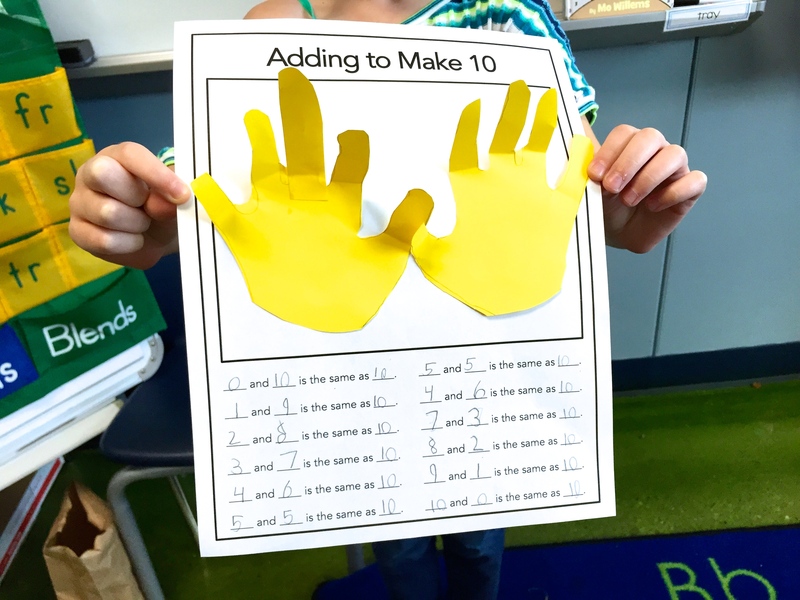 Plus, introducing Making 10 as a set of hands instantly makes Making 10 real for my friends! Note – having 1st graders cut out their own hands is incredibly painful…next year I will opt for dye-cut hands. After making our 10 Craftivity, I introduced the Making 10 Hand Game in the hallway. 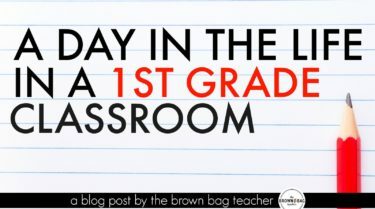 It’s perfect for filling those hallway and bathroom waits with learning moments. As students wait, they close their eyes. On the count of 3, they open them and look at my hand. They then flash the number needed to make ten. If we’re in a location where a small amount of noise is okay, we will whisper the equation we made. 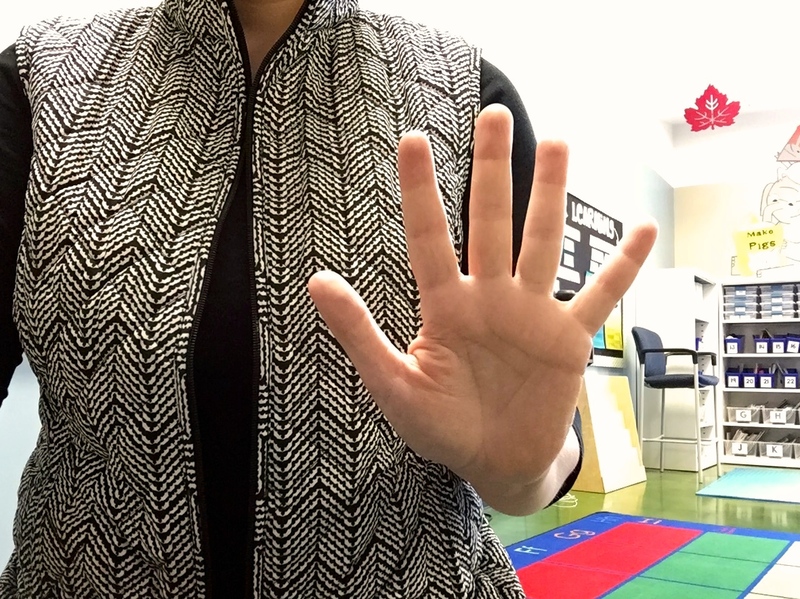 For example, I flashed 5, so students would show me 5. Then, we would whisper 5 + 5 is 10. 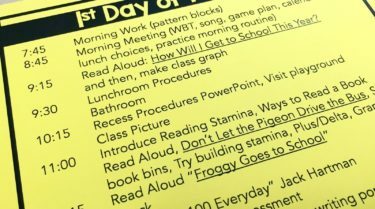 At the beginning of the year, we start making 5 then transition to 10. If your students need more of a challenge, try other numbers – 7, 8, 9, etc. 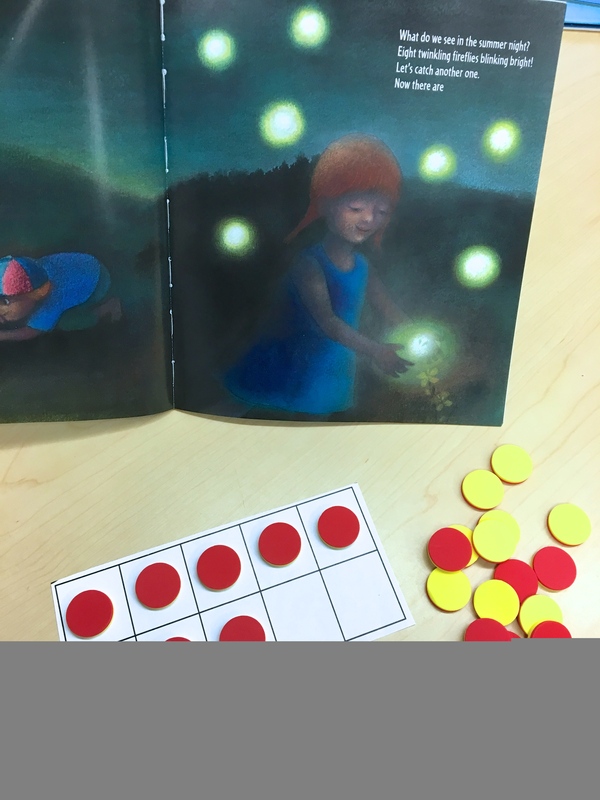 My go-to mentor text for making 10 is Ten Flashing Fireflies. A beautifully illustrated story in which there are 10 fireflies at night and two friends are collecting them. Every time one firefly is collected in their jar (shown on the left side of each page), this is one less in the sky (shown on the right side of the book, see below). It’s the perfect book for talking about commutative property (i.e. flip-flip facts) within the 10 facts (1 and 9 & 9 and 1). Then, in small groups, it is the perfect text to have students model what is happening with ten frames! In math centers, we pulled out the plastic links and did hands-on combinations to 10, 15, and 20 (depending on the math group students are in). 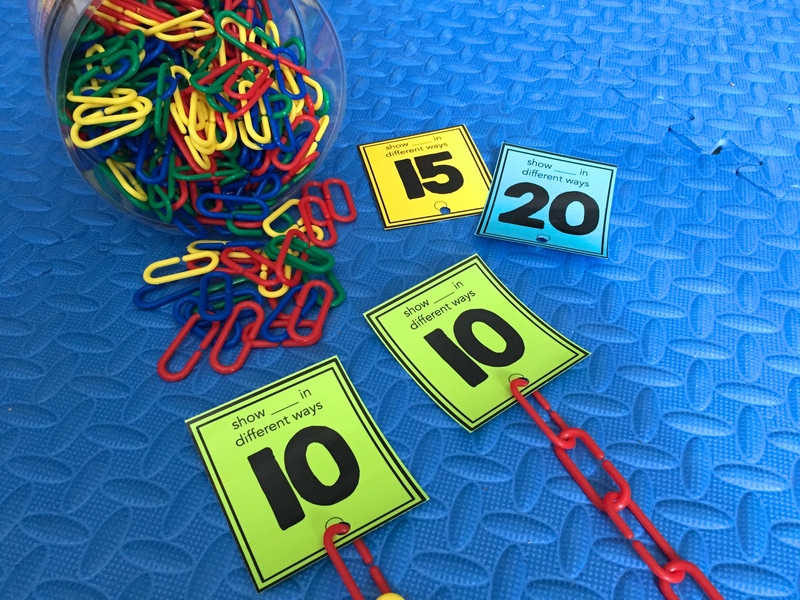 This hands-on centers is little prep and it’s perfect for showing students that numbers can be decomposed in many ways. The ability to ‘play’ with numbers, breaking them apart in multiple ways is an important part of building number sense! Using 10 Frame playing cards, we have also been enjoying Making-10 Go Fish. 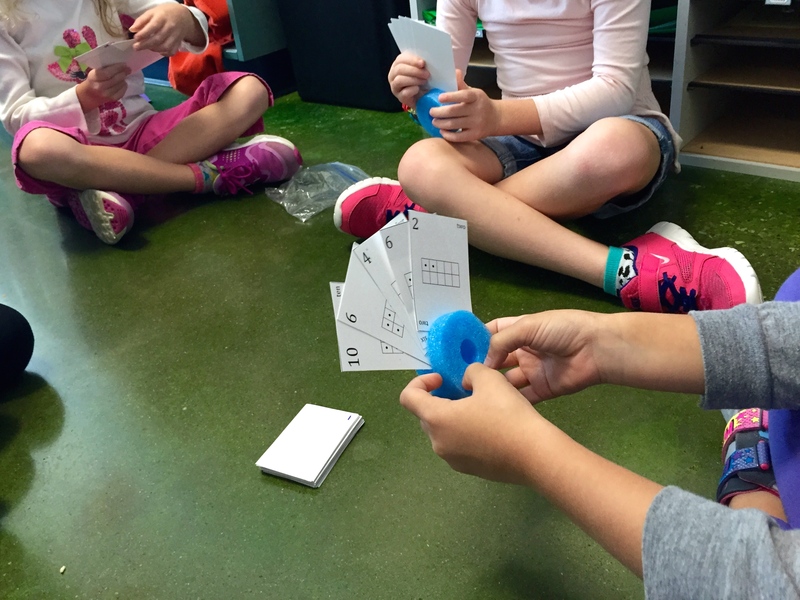 2 math groups play Go Fish together (for a total of 4 friends). The only ‘rule’ is that students must say the full number statement when they make the match – “4 and 6 make 10”. 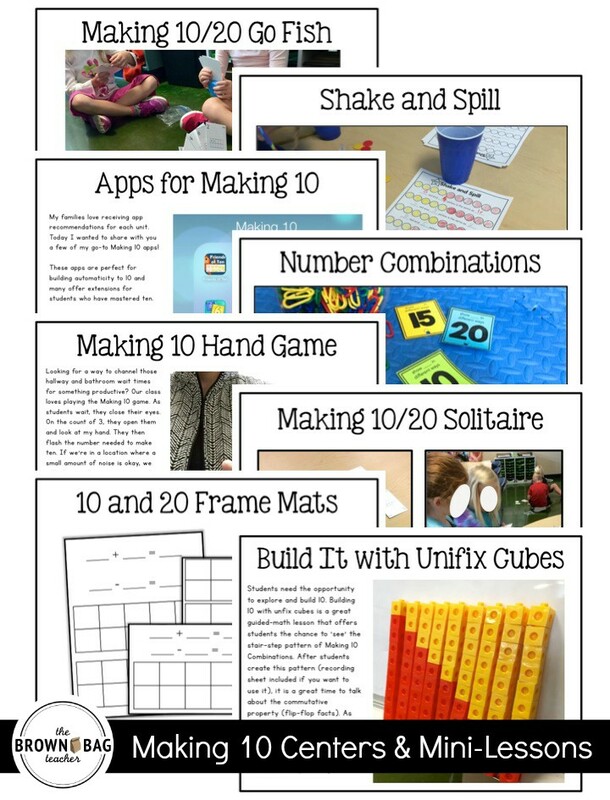 We know that talking about math is a great way to become a better mathematician, so we want to practice this skill! 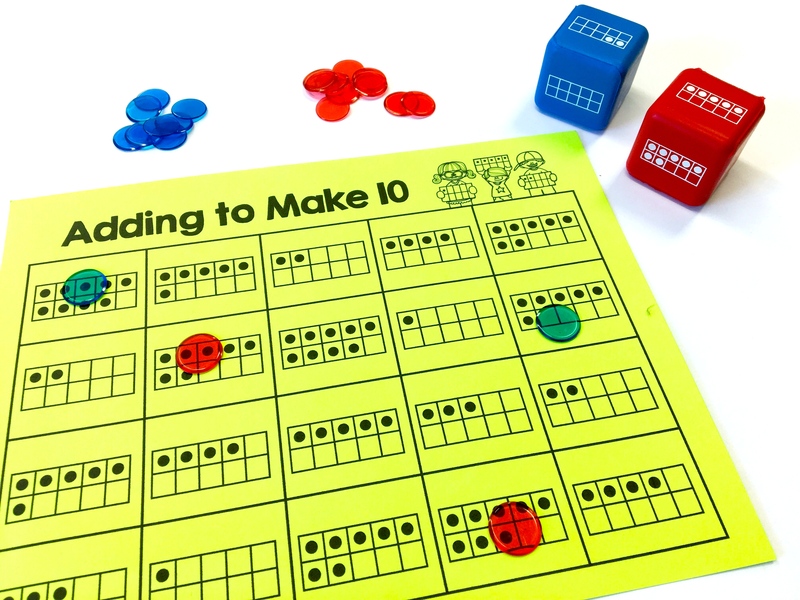 For students who struggle with Making 10, they keep a 10 Frame and counters with them on the floor. 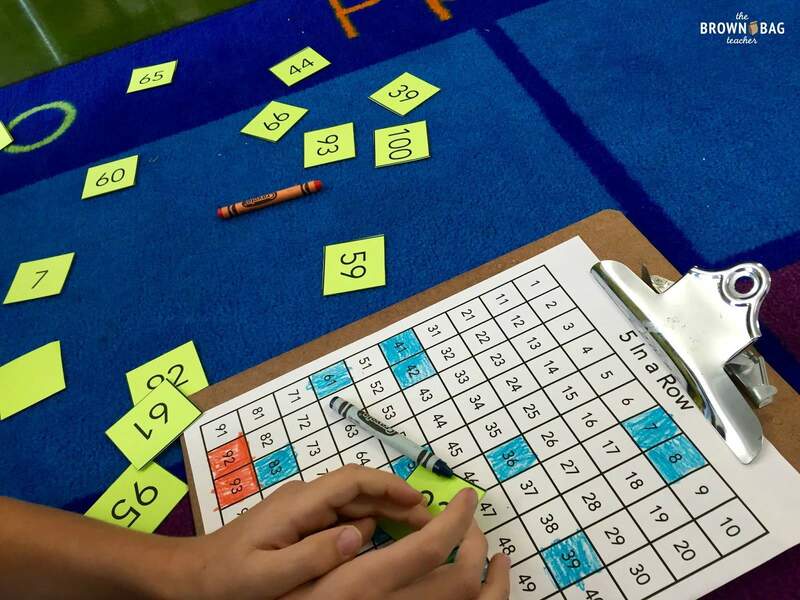 4 in the Row is a simple, beginning-of-the-year math center perfect for working on sums to 5, 10, and 20. We played with number cards (subitizing, ten frames, and number words) until I snagged a set of 10 frame dice from Lakeshore. Now, I am in love with this set of dice and can’t get enough. Lastly, snag a Connect 4 game and you are set for days. Writing numbers on the red and yellow pieces make an easy, simple, differentiated math center! 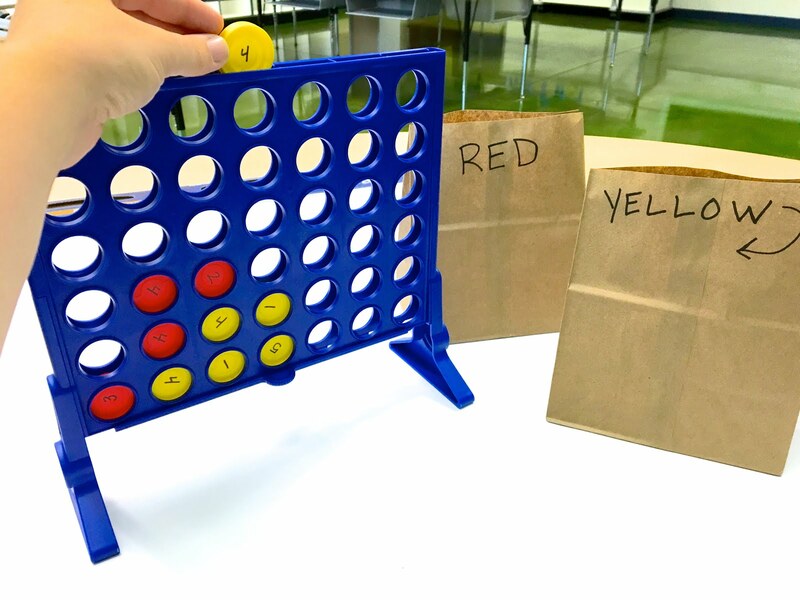 You can snag the visual directions and set-up directions for FREE in this blog post. 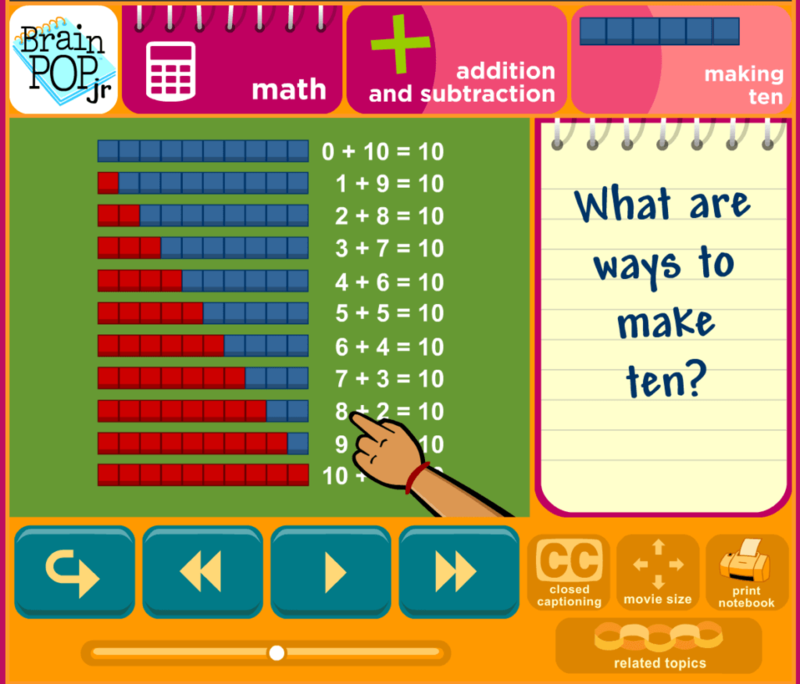 Annie and Moby on BrainPop Jr also have a great video for helping students see this magical pattern! 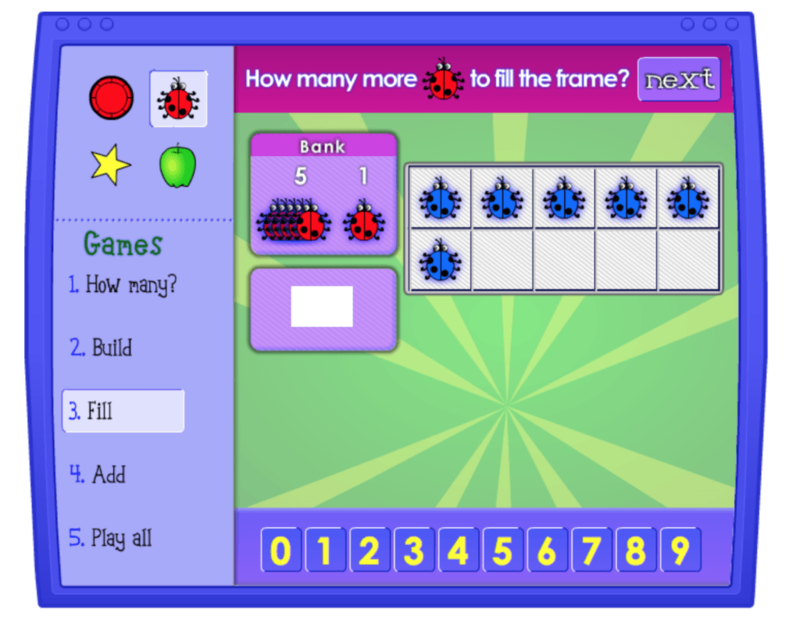 The National Council for Teaching Mathematics hosts a free site called ‘Illuminations’ which offers great online activities. 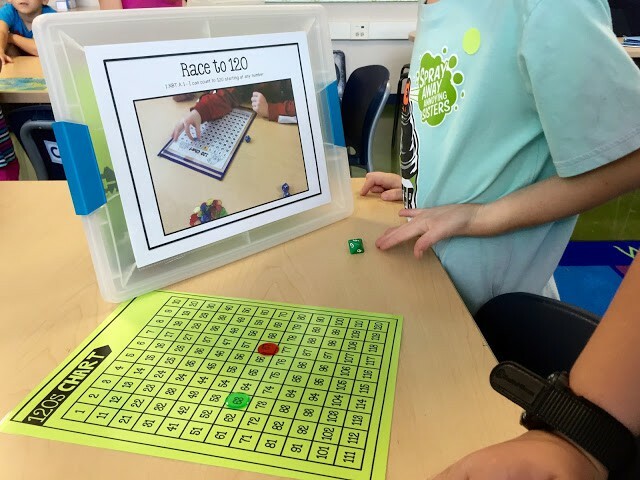 We used this 10 Frame activity on our SMART Board as friends had matching 10 frames on each of their desks. Plus, the ‘games’ on the left sidebar become progressively more difficult as you move down (1 = easiest, 4 = most complex). The 10 Frame Song is super simple, but perfect for helping students remember 10 friends (and it makes for a simple and quick transition song)! If you think this song is something your friends would love, you can click here to download the lyrics for your own classroom. If you reduce the page size to 85% when you print, it fits perfectly into an interactive math notebook. To hear the song, check out this blog post. My families love receiving app recommendations for each unit. 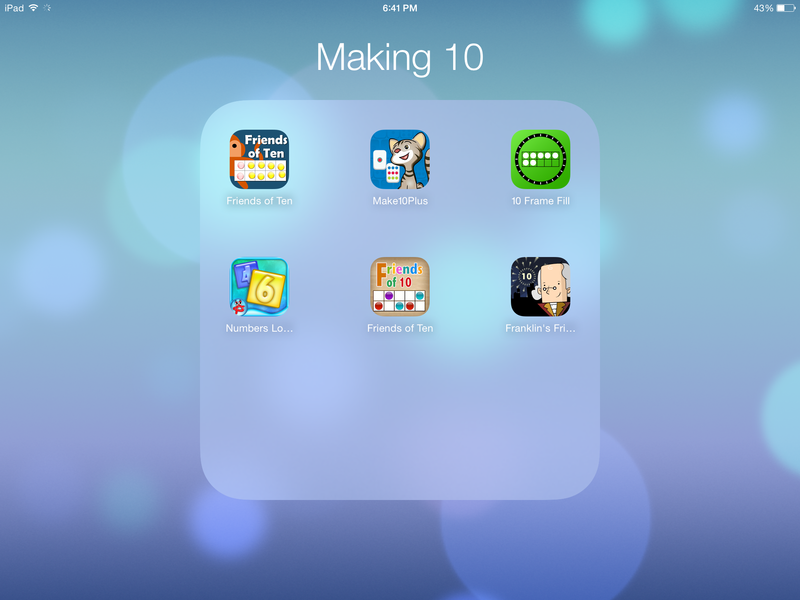 These apps are perfect for building automaticity to 10 and many offer extensions for students who have mastered ten. I’ve shared more about these apps in this blog post. 10 is such an implant benchmark and many different exposures to 10 helps students make it their own. From games to manipualtives, my 1st grade friends have officially mastered 10! 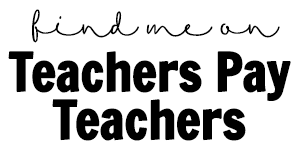 If you are interested in any of the resources in this blog post, you can check them out here or by clicking the picture below. 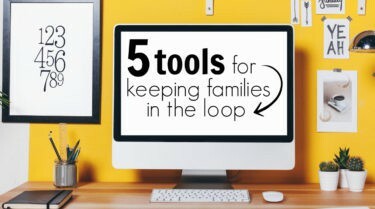 What are your go-to games and resources for Making 10? 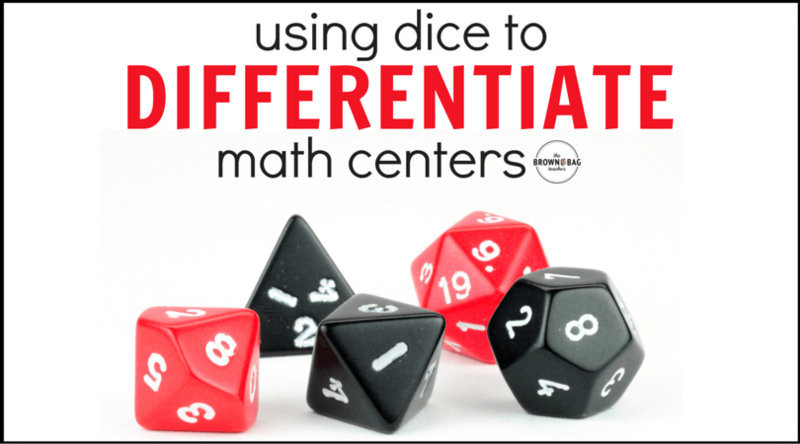 I’m always looking for new math centers and would love to hear to your ideas. 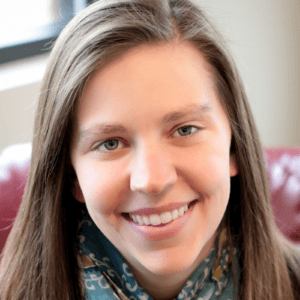 My students have learning disabilities, and mixing objectives, no matter how narrowly-focused, does not work. 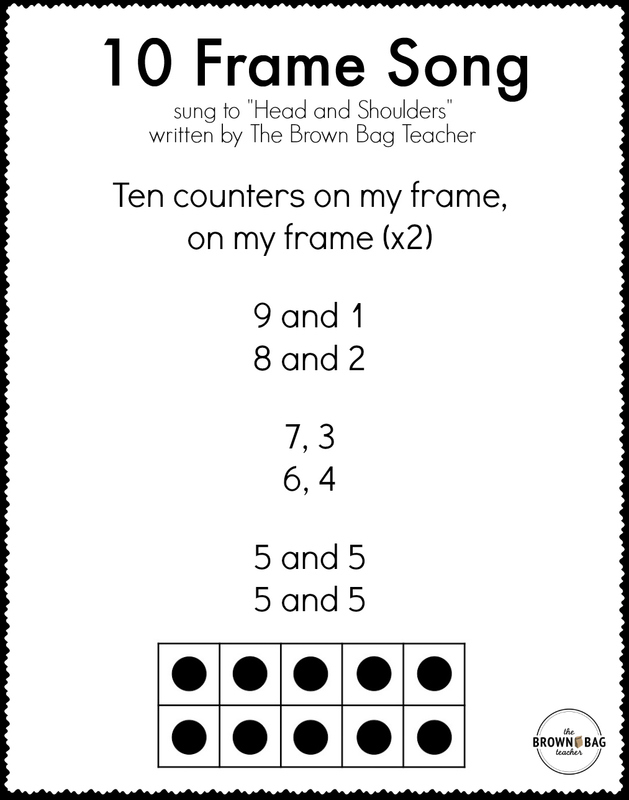 I would suggest modifying the lyrics to the "10 Frame Song," so that there are several separate verses, one for each commutative pair of addends. For example, "10 counters on my frame (on my frame), 10 counters on my frame (on my frame). 9 plus one and one plus 9. 10 counters on my frame (on my frame). Then, sing a new verse for 8 plus 2, a new one for 7 plus 3, etc. 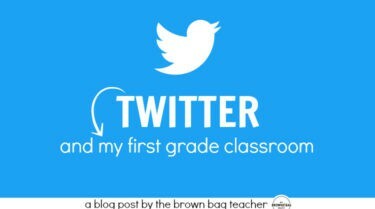 Love your ideas, I’m going to borrow some for my class this week! Thanks for your creativity! Keeping this veteran teacher in the game!